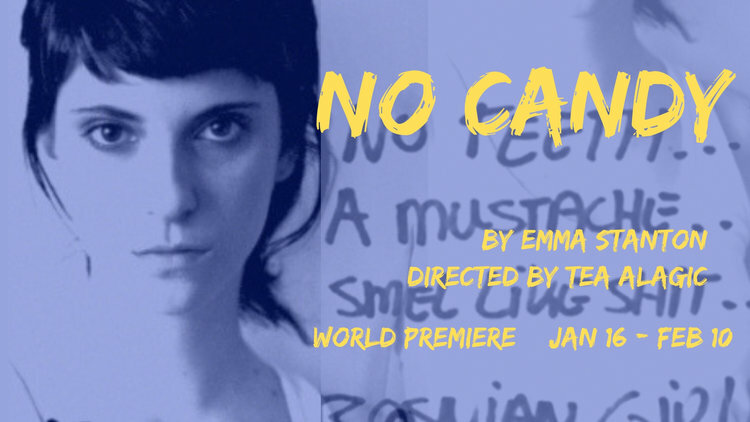 This World Premiere, topical drama is written by Emma Stanton and directed by Tea Alagic. 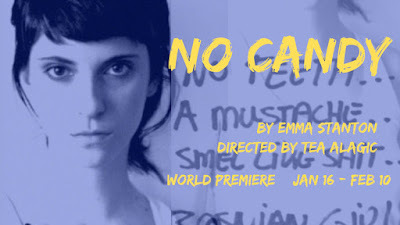 It is playing at their space, 602 NE Prescott St. (free parking lot 2 blocks North on 6th), through February 10th). For more information, go to their site at www.portlandplayhouse.org or call 503-488-5822. The Human Spirit is amazing, as it can take an enormous beating and can still endure…and even thrive, in time. We are who we are today because of our life experiences, not in spite of them. In short, we will survive, albeit changed, evolved. We learn, and in leaning, survive. The story told here is of the aftermath of the war in Bosnia, when 8,000 Muslim men were killed and the women sexually assaulted and tortured. This small band of sisters in this slice of an afterlife, are adjusting to a new world built out of the rubble of what used to be home. They have started a gift shop in which to sell trinkets to the tourists…coasters, jewelry, t-shirts, etc. to make a living for themselves but perhaps, more importantly, to gather and recall…. This play is designed in such a way that, to try and give it a storyline, would sound pedestrian. This is a lyrical telling, a poetry, of lives lost…and found. It is told in dance-like movements, song, intermingled with half-truths, revelations, harsh memories, tender moments, dreams, desires and of a new wave evolving from the ashes, like the fabled Phoenix. The women are Zlata (Mia Zara), Uma (Sharonlee McLean), Olena (Nikki Weaver), and Fazila (Val Landrum). The child is Asja (Agatha Olson). The husband/father woven in and out of the story is Oric (Ben Wright). And the new wave, perhaps, of a Muslim woman, is Maja (Jessica Hillenbrand). Together these few, these chosen few, make a rhythmic bond of lives forever altered by monsters among us. Beware, they are still lurking in the shadows! As suggested, this is an experience to be felt, not dissected. The cast is as powerful as you can get, all seasoned performers. And Alagic has captured the lyricism perfectly. The set by Peter Ksander is just the right fit for this story, open and airy, allowing the magic to flow.